Peru defeated Venezuela in the 2015 Copa America group c match by 1-0 where Bayern Munich man Claudio Pizarro scored in the 72nd minute. 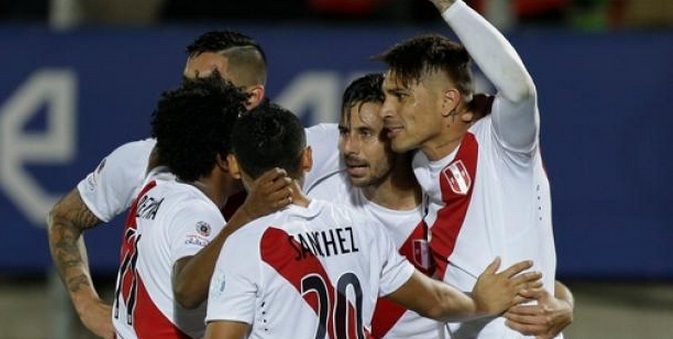 This win for Peru has left group c wide open where every team has 3 points after two matches played. Peru legend Claudio Pizarro scored the only goal of the game in 72 minute but it was venezuela who made life difficult for themselves when Amorebieta saw a straight red in 30th minute of first half. After that there was only going to be one winner. 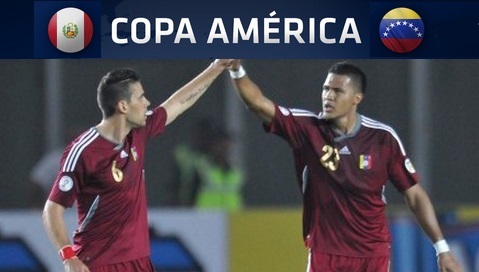 Peru will be taking on Venezuela in their second group match of the 2015 Copa America currently taking place in Chile. Venezuela has surprised alot of people already in the competition when they defeated Colombia in the opening group game which went along way to make them worthy dark horses for the competition. This will be the only match of the day in Friday, 18th June 2015 taking place in Estadio Elías stadium in Valparaíso. Peru lost their opening game against Brazil the other day when they meet inform Neymar and company, Brazil were expected to win the game easily but Peru made life extremely hard for 5 time world champions. It took moment of magic from Neymar in the injury time when he picked out Douglas Costa with a beatutiful disguised ball inside the box who made no mistake in scoring the winner. Peru now needs atleast a point in this game or they will be knocked out. 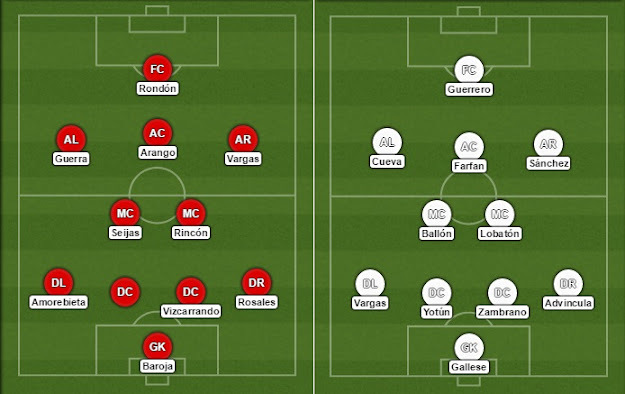 This is how I expect both teams to lineup, of course these are not the confirmed team lineups but we can safely assume that both camps will go with the same units as their first group games. Venezuela are a very difficult side to play against with their extremely tight defense and they have proper out and out goalscorer in Salmon Rondon of Zenit St Petersbrough. Last five matches between the two teams has produced 18 goals where Peru has won 3 of the 5 games while Venezuela successful on two occasions.